My husband loves art, so one of the goals of our travels is to see art museums and art installations. With that in mind we’ve taken trips with art associations (Denver Art Museum, The Met) and tours that are about art (Art in Japan with Esprit Travel, Art Collectors and their Collections in Los Angeles with Road Scholar). I have walked thorough many gardens and parks with both permanent and temporary art displays. 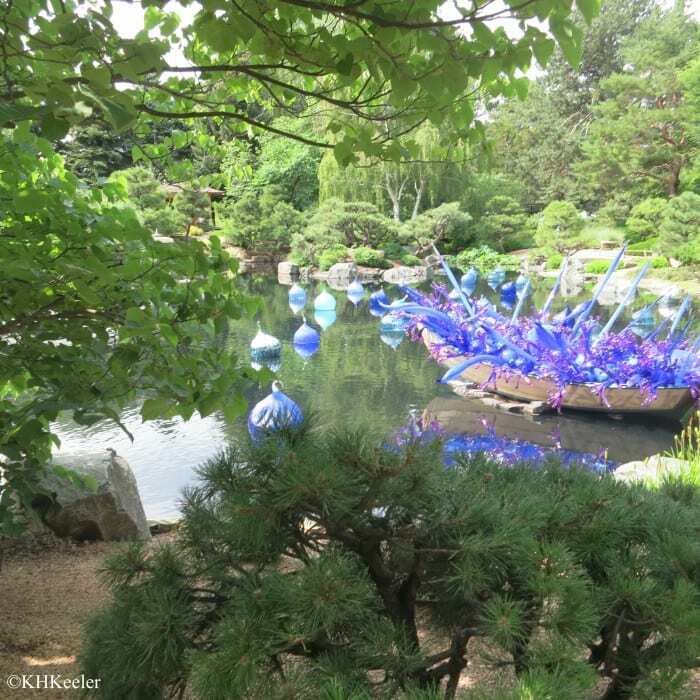 The recent Dale Chihuly exhibit in the Denver Botanical Garden (example to the right) caused me to try to articulate my thoughts about art in parks and gardens. The park or garden finds art displays useful for variety in their landscapes, because art is beautiful and to increase interest in the park or garden. Attendance usually increases when a new art display is added. The artist gets a different audience than he or she has when his or her art is displayed in a gallery. 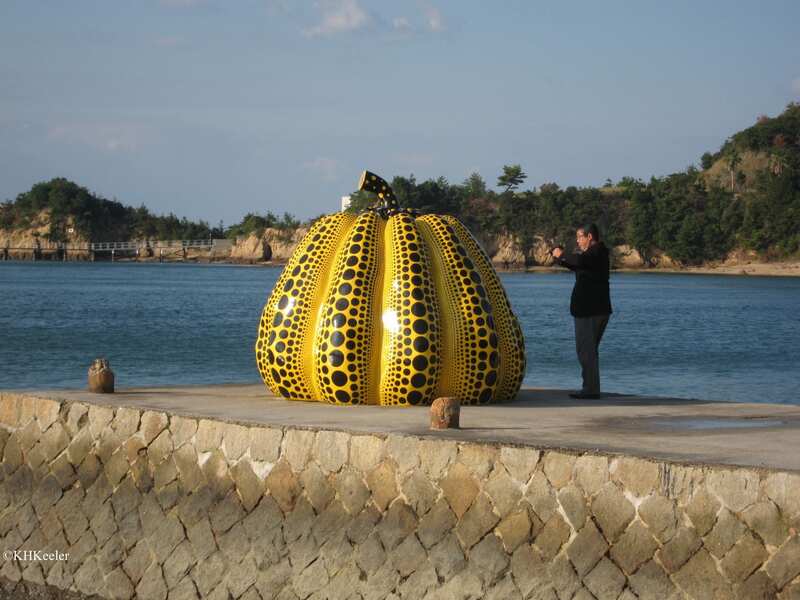 If the installation travels, the artist can see it in different settings. 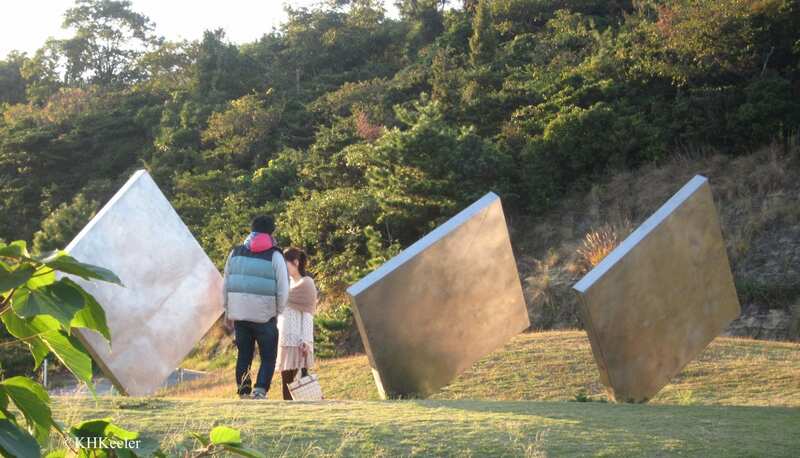 And if it travels, people in different regions get to see the art. All of those are good. However, I am a great fan of nature. Forests and mountains and oceans are beautiful of themselves. 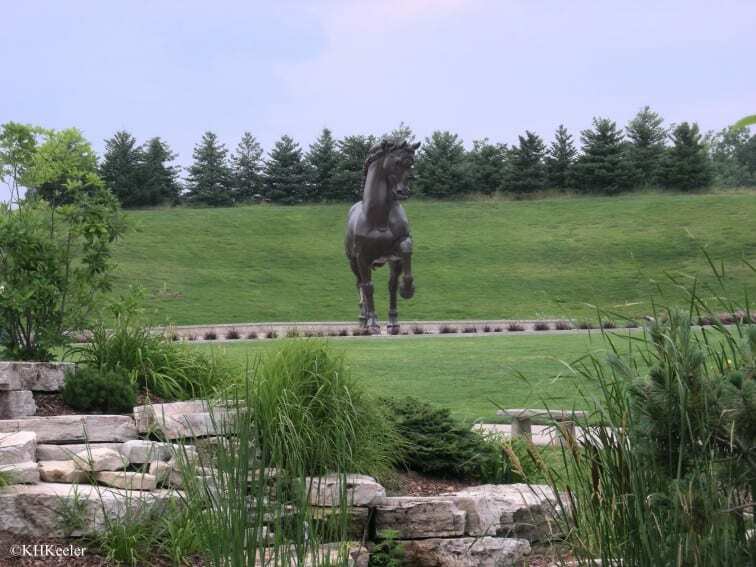 Thus for me, there is an important issue: does the outdoor setting make the art look better AND does the art make the outdoor setting look better? Most times I find the art enhanced by being outdoors. Sometimes, I think the location was more attractive before the art was added. I cannot at this time define where and when I find the art jarring, but I am working on it. 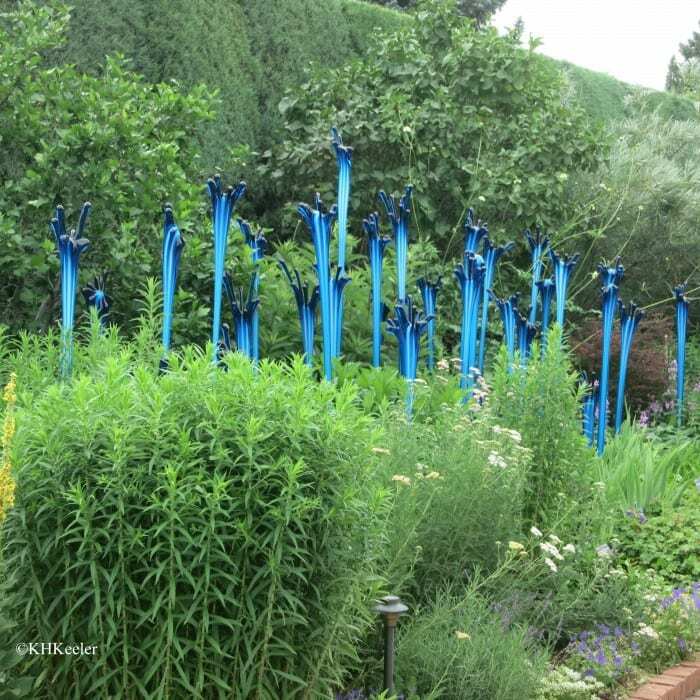 Dale Chihuly’s Turquoise Reeds, Denver Botanic Garden. Art in parks and gardens adds interest. It can make you smile, both from the message and from the surprise of encountering it. 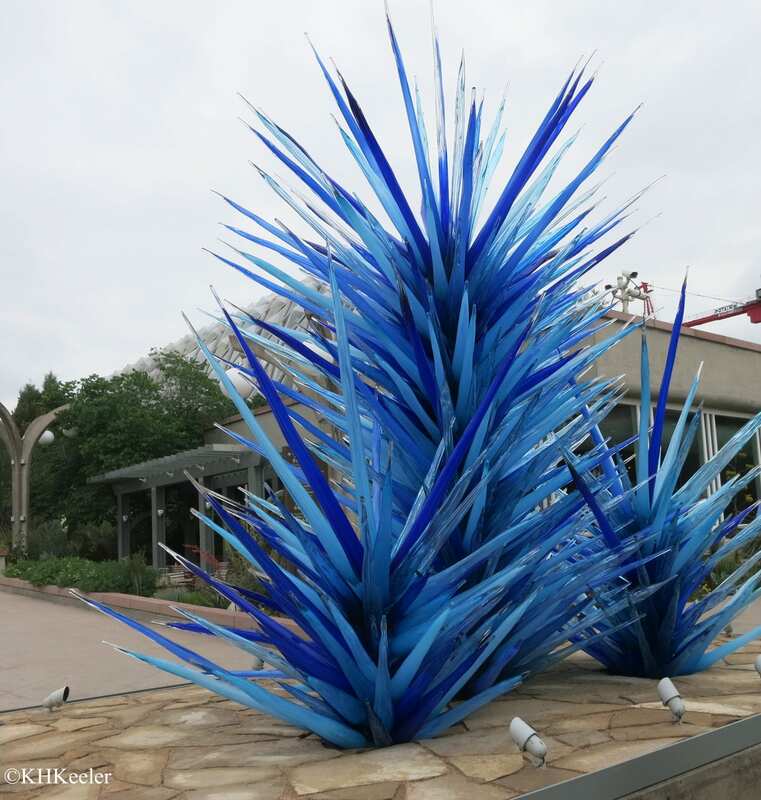 Beautiful art normally enhances the outdoor site. But I think it can fail to enhance the site if it either clashes with the surroundings or draws the eye away from a scene that is naturally spectacular. Of course there is a large component of personal taste in what works and doesn’t work for the viewer. 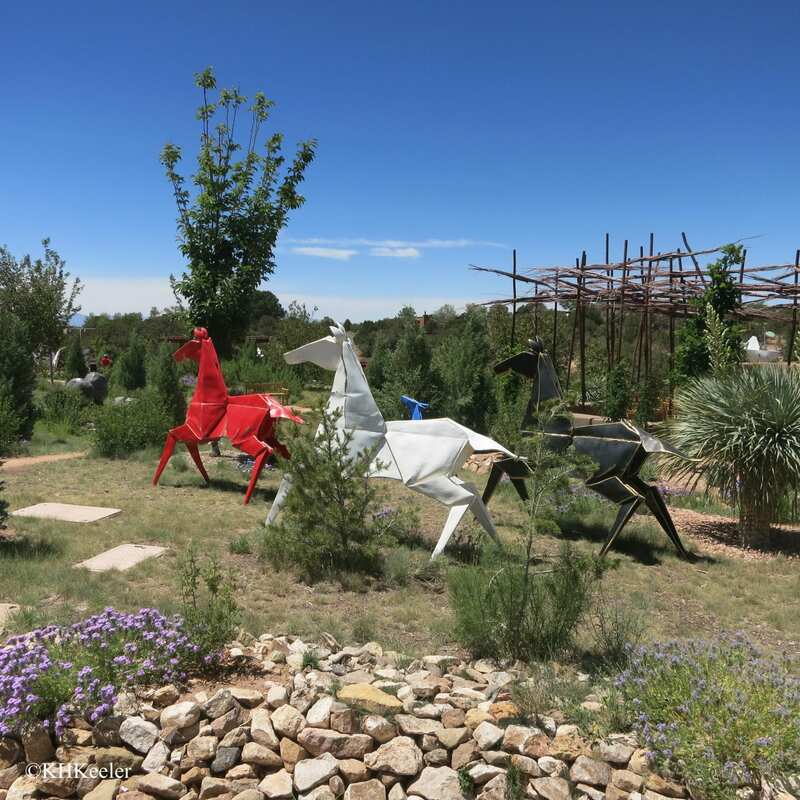 When you see art in parks and gardens, you’ll consider whether, for you, each piece of art enhances both the art and the outdoor space.